James Gunn is not returning to direct Guardians of the Galaxy Vol. 3. Last week, a report surfaced detailing an upcoming meeting between the director and Disney that would either see Gunn reinstated as the director following his dismissal in July or end chatter of his return, and the latter option won out. According to Variety, Gunn met with Disney chairman Joe Horn to discuss a possible return. It was a last ditch effort on Gunn’s part to receive a second chance and return to the director’s chair for Guardians of the Galaxy, but Horn decided not to overturn the original firing. Horn held the meeting with Gunn as a courtesy and sources say it was civil and professional. The decision officially puts an end to talk of Gunn possibly returning, giving the cast and crew finality to move on from a very difficult chapter. One of Gunn’s reported supporters, Marvel president Kevin Feige, was out of town during the meeting and thus was not present when it occurred. Feige will now have to find a replacement director for the third installment of Guardians. Sources close to the project revealed Disney still expects to use Gunn’s script for the movie though the studio hasn’t confirmed the decision. As for what comes next is anybody’s guess. Kevin Feige needs to find a new director, but at least he already has a script ready. Production is scheduled to begin in 2019 with the movie arriving in theaters May 2020. However, it is unclear if the schedule will be kept following the unexpected shakeup. The entire cast is still expected to return for the sequel. 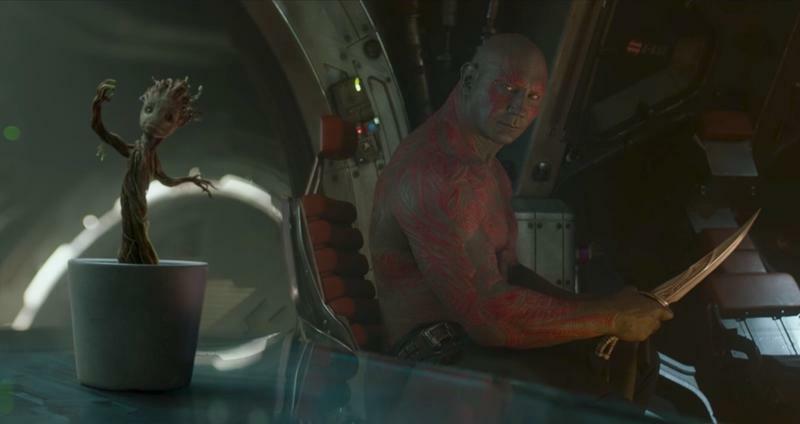 Dave Bautista initially threatened his exit if Gunn’s script wasn’t used, but that now it is being used, he may back off his threat and reprise his role as Drax.